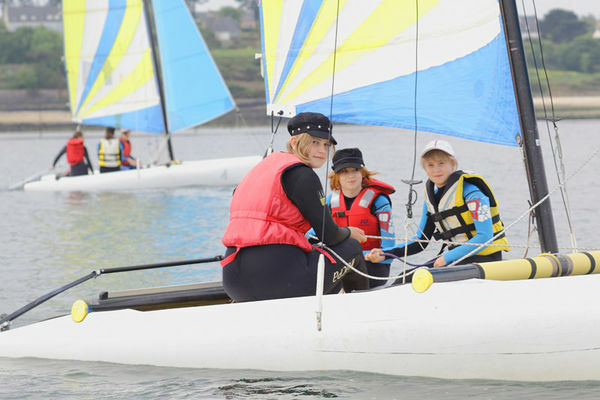 The UCPA centre UCPA in Aber Wrac’h benefits from all the skill and professionalism of the instructors, who work for the association, which can boast forty years of experience. 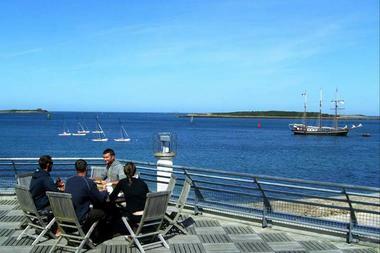 This is the ideal place to set up a group project in an exceptional setting. 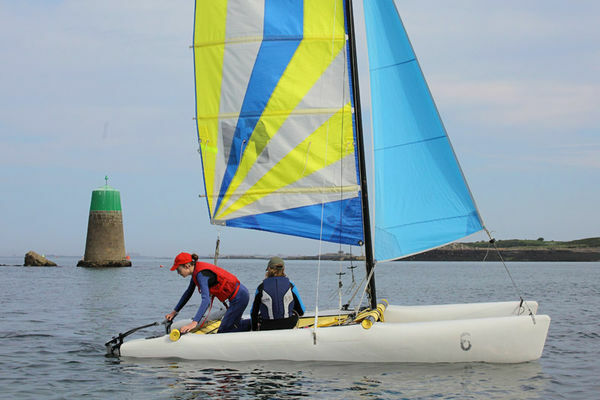 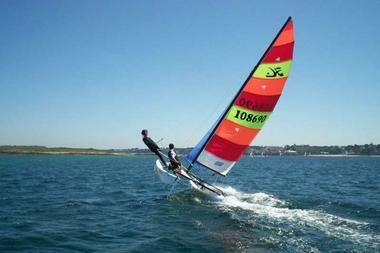 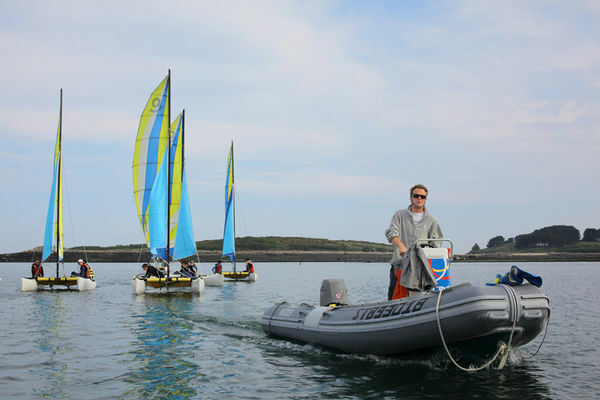 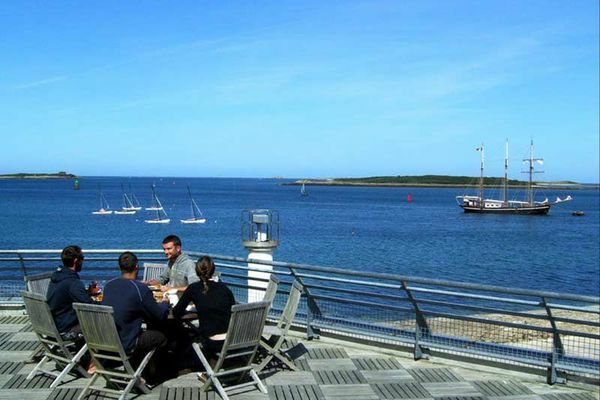 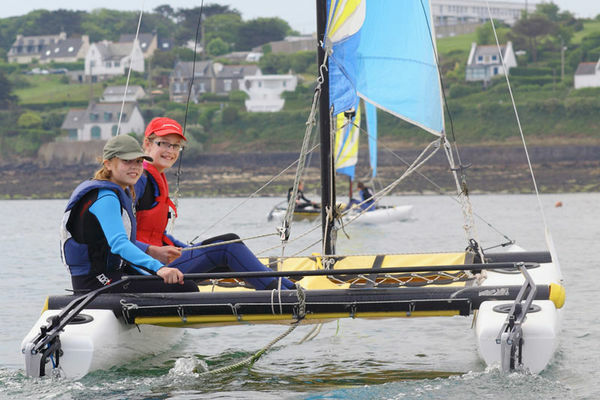 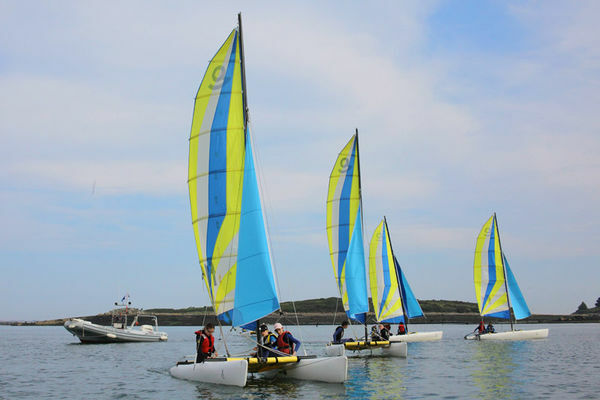 The UCPA centre in Aber Wrac’h, half an hour from the railway station in Brest, offers sailing and the possibility for you to get away from it all. 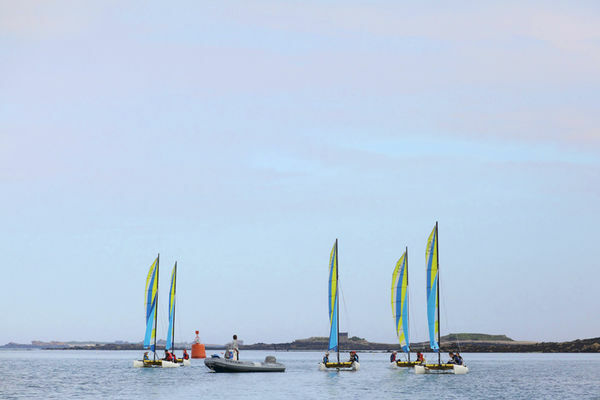 Not far from the Île Vierge Lighthouse (the tallest in Europe), the centre looks out on a maze of islands at the entrance to the river. 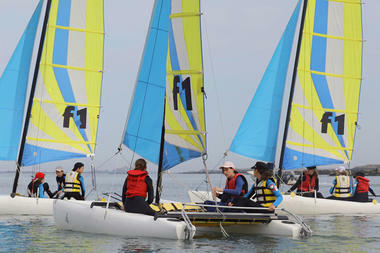 The UCPA welcomes individual trainees throughout the year to learn how to sail a racing catamaran or go windsurfing. It also offers beginners’ classes in cruising on a boat with other people. 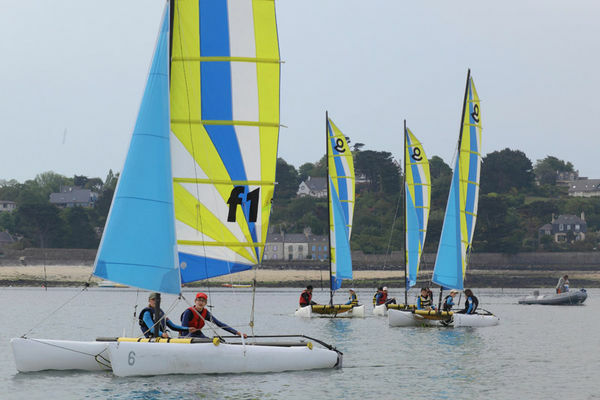 But above all, the centre can welcome group visits: an opportunity to draw up a programme to suit your requirements with a social club or with friends in order to relax and have a good time in an exceptional setting.